The season of Turnip (“Kabu” in Japanese) is spring and fall. May is its season and people say Turnips in spring time is tender. The history of turnip in Japan is very old. 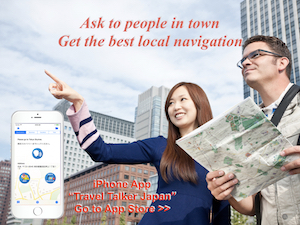 It is mentioned in a oldest history book such as Kojiki or Nihonshoki which were published in 8th century. 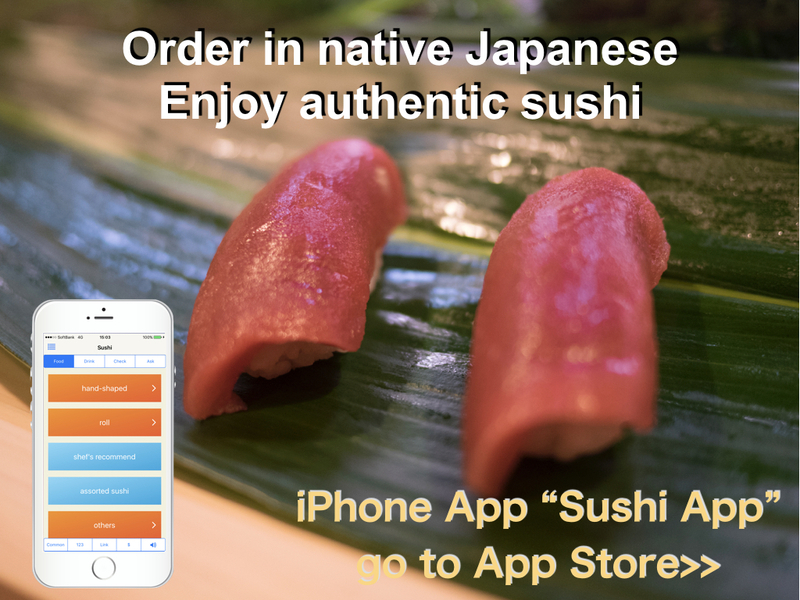 So there are many Japanese foods using it, and we also can find them in Washoku, traditional Japanese foods, menu. Today, I would like to introduce a casual and easy to make menu “Asazuke”. 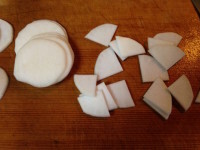 1) Peel the skin of Turnip and slice about 2 to 3mm width. 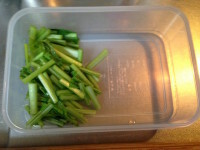 Then cut into 4. 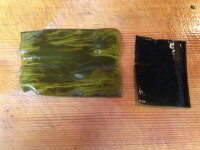 Cut leaves of turnip about 3cm long and slice Kelp about 2 to 3mm width. 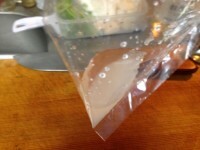 2) Mix Rice Vinegar, Sea Salt and Sugar well in a plastic bag. 3) Put all ingredients in the plastic bag and shake. 4) Remove air in the bag and tie the bag. Leave it for about 30min. at least. It’s easy and quickly to make. However it can be eaten without any sauce, pour a little soy sauce if you like. Pickled vegetables is called as “Tsukemono” in Japanese and it is one category of Japanese food. There are several methods to make Tsukemono. 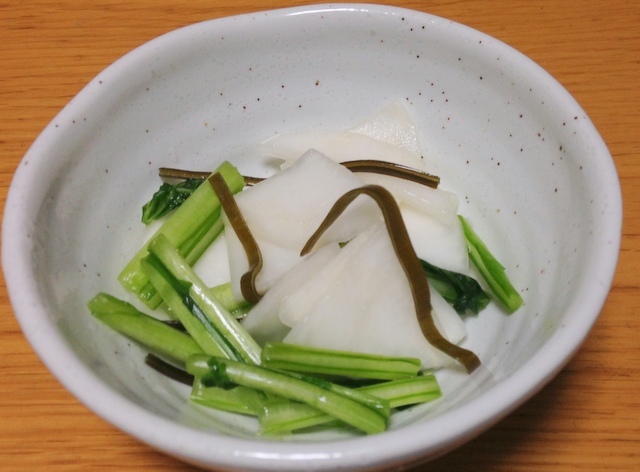 If we say “Tsukemono”, normally it means vegetables pickled in rice bran (Kome Nuka) and is called as “Nukazuke”. 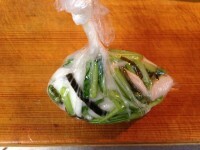 To make Nukazuke, we need to have Nukadoko which is the thing to place vegetable inside to ferment. It takes longer time (days). In the past many families have own Nukadoko at their home, but recently it is rare. Sometimes Nukadoko has been inherited from generation to generation. The Nukadoko having long history is thought as valuable. To keep a better Nukadoko is hard work because it need maintenance every day. Also it has strong smell. I don’t have my own Nukadoko, so I cannot make original Nukazuke unfortunately. On the other hand, I think Asazuke is an easiest method to make Tsukemono. However it is not fermented like Nukazuke and the taste is light, I think it is a good side dish when eating steamed rice (Gohan). I was using Kabu / Turnip at this time. 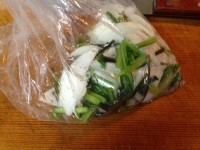 Kyuri / Cucumber, Hakusai / Chinese cabbage or Cabbage are also used. If you add Asazuke as a side dish when you make Japanese foods, your table will be more Japanese style.